As the summer recess for the British Parliament reaches its close, Benny Wenda has been holding a series of meetings with British politicians at Westminster. 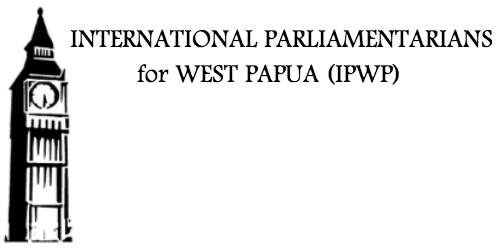 Former Labour government chief whip Nick Brown MP (Labour) has signed up to join the International Parliamentarians for West Papua (IPWP). Mr Brown joins the growing number of politicians from around the. A debate about West Papua took place in the House of Lords in the UK Parliament yesterday. Several Lords passionately condemned Indonesians brutal military operations and horrific human rights abuses as well as the illegal occupation of the nation of West Papua in 1963. The Lords made powerful statements condemning the so called “Act of. A selection of photos from West Papua independence leader Benny Wenda on his to the Vanuatu Parliament where he spoke about the situation in West Papua and secured the support of new members for IPWP.